Jessi Moon Conder is a senior teacher from The Self Awareness Institute, an organization dedicated to the Enlightenment of humanity. Jessi has been studying with the Self Awareness institute for 17 years and teaching for 9. She has a gift for helping people learn the science and tools for gaining Clarity, Inspiration and the Energy needed for true enduring Happiness and Peace. She is especially great with kids and has programs for schools and works with kids privately for mindfulness and yoga coaching to reduce anxiety and stress. Her private teaching and group classes change lives. 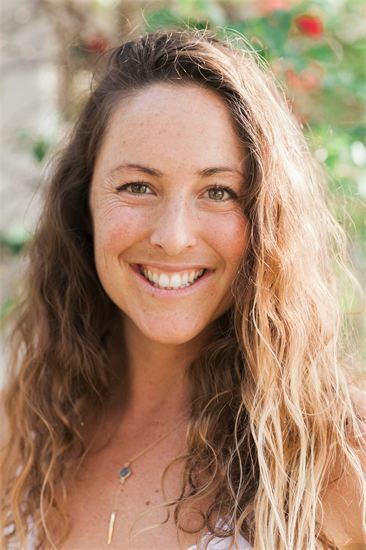 Jessi teaches Conscious Parenting and gives seminars on the topic. She is a surfer and lover of nature. 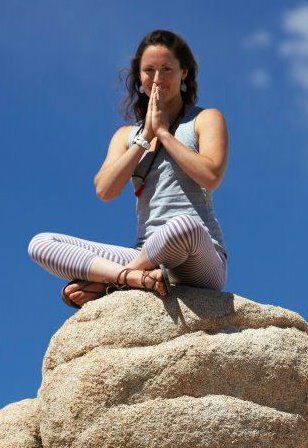 Her meditation practice is strong and is devoted to maintaining a healthy body and mind through yoga and mindfulness practices. She has a 13 year old son who she adores; Luka, and carries a great admiration for her teacher who has gently guided her to her own self realization over the past 17 years. Jessi’s training at The Self Awareness Institute has been very thoughrough and she enjoys her daily mindfulness practices very much. Children naturally and instantly gravitate towards her because of it. She also has a very healing energy and often gets asked to do healings on her clients too, she loves teaching the children how to send and receive healing energy also. What she has to share with the world is fenominally special and transformational for anyone seeking to live a higher, happier more loving, balanced and fulfilled life and especially to support our kids in their development. It is exciting to have science now backing these powerful tools for our optimal happiness. Those that seek Jessi’s advice and support, live better lives because of it. She lives to share these teachings with the world, especially parents, children and teachers to allow our next generation to carry themselves in a higher awareness and happiness. The world and our children need US to Enlighten so we can help them naturally enlighten and bring about the change we wish to see in the world. Jessi is here to support your emotional, mental and energetic growth and your children’s happiness and optimal mind set too. The changes you need to make in your life are possible, anything is possible, and Jessi helps you integrate the tools for a higher and more purposeful quality of life we all deserve to live in. I attended a mindful parenting class this morning in Newport Beach. It is so wonderful to know that I’m on the right path, even though sometimes doesn’t feel that way. ❤️ Jessi Moon-Conder you are such a blessing! Thank you. We have been beyond thrilled with Eli’s participation in your class- you create such a sacred place for them. The skills that have learned are invaluable and have helped Eli tremendously with his anxiety at school and in general. This was a powerful seminar – packed with important and new information on how the mind works, how to improve health of mind & body, and techniques to harness joy & personal improvement. Addressing stress management, anxiety/worry, emotional awareness & stabilization, parenting, thought patterns, and nutrition, Steven and Jessie teach amazing meditation, mindfulness and neurolinguistic programming (NLP) techniques to increase awareness, consciousness, and physical & spiritual vibration. These techniques can be applied to your own life or to your children, patients or students. The instruction included activities and the teachers’ personal experiences and wisdoms to guide you to a depth of understanding only achieved in this personalized and intensive setting. I highly recommend this program as an MD and as a mom – for healthcare practitioners, for parents, and for teachers & educators. It is life-changing on a personal and professional level. These teachings can and will have a great impact on children and young adults and our future. Thank you for the meditation session this evening. I’m still on cloud 9. Life is so amazingly wonderful when I have teachers like yourself and opportunities around me that help to feed my soul. I feel more love than I’ve ever felt before. 10 months ago, I met this amazing bright spirit who has taught me love like I never knew before. I am forever grateful for her in my life. Jessi has helped me find so much bliss! And it was a bliss I had been craving for all my life, without even knowing that I was craving for it! I am Very Grateful for the opportunity to be introduced by Jessi to this practical meditation at this transitional time in my life.